1. Acute Retinal Necrosis Syndrome. Annual Clinical Conference, USC Department of Ophthalmology, Doheny Eye Institute, 12/16/83. 2. Ocular Manifestations of the New Acquired Immunodeficiency Syndrome. Annual Clinical Conference, USC Department of Ophthalmology, Doheny Eye Institute, 12/16/83. 3. Contractility of Avascular Corneal Wound Tissue In-Vitro in Animal Model. Eighth Annual Residents, Fellows and Alumni Day, USC Department of Ophthalmology, Doheny Eye Institute, 6/22/84. 4. Ocular Emergencies. Trauma Conference, Dept. of Emergency Medicine, LAC/USC Medical Center, 6/8/84. 5. Luttrull, J.K., Feldon, S.E., Adult Diabetic Papillopathy. Ninth Annual Residents, Fellows and Alumni Day, USC Dept. of Ophthalmology, Doheny Eye Institute, 6/21/85. 6. Luttrull, J.K., Feldon, S.E.,: Transantral Orbital Decompression for Dysthyroid Optic Neuropathy. Accepted for presentation to the International Orbital Society, Amsterdam, Netherlands, 9/85. 7. Hertzog, L.M., Luttrull, J.K., Chen, A., Feldon, S.E., Sadun, A.A.: Anterior Ischemic Optic Neuropathy and Optic Disc Changes Associated with Hyperopia. Presented to the American Academy of Ophthalmology Annual Meeting, New Orleans, 1986. 8. Dreyer, R.F., Luttrull, J.K.: Angiographic Hot Spots. Presented to the Oregon Academy of Ophthalmology Meeting, Portland, Oregon, 2/27/87. 9. Freeman, W.R., Chen, A., Henderly, D., Luttrull, J.K., Leung, R., Arthur, J.B., Urrea, P.T. : Prognostic and Systemic Significance of Non-Infectious AIDS Associated Retinopathy. Presented to The Association for Research in Vision and Ophthalmology Annual Meeting, Sarasota, Florida, May 1987. 10. Luttrull, J.K., Dreyer, R.F. : Angiographic Hot Spots: Important Indicators of Occult Subretinal Neovascularization in A.M.D. Presented to the Eleventh Annual Residents, Fellows, and Alumni Day, U.S.C. Department of Ophthalmology, Estelle Doheny Eye Foundation, Los Angeles, Calif., 6/5/87. 11. Dreyer, R.F., El Baba, F.Z., Luttrull, J.K.: Sequential Retinal Tears as a Complication of Pneumatic Retinopexy. Presentation to the American Board of Ophthalmology Annual Meeting, Dallas, 1987. 12. El Baba, F.Z., Luttrull, J.K., Chenoweth, R.G., Dreyer, R.F. : Bent-tip Endoilluminator for Anterior Vitreous Dissections From the Pars Plana. Presentation to the American Academy of Ophthalmology Annual Meeting, Dallas, 1987. 13. Luttrull, J.K., Dreyer, R.F. : Angiographic Hot Spots: Important Indicators of Occult Subretinal Neovascularization in Age-Related Macular Degeneration. Paper presentation to the American Academy of Ophthalmology Annual Meeting, Dallas, 1987. 14. Luttrull, J.K.: Update on Treatable Macular Disease/Vitreous Surgery presented to the Inland Optometric Association Annual Ski Meeting, Mammoth Mountain, California, 2/26/88. 15. Luttrull, J.K.: Brief Review of Common Retinal Vascular Disorders. Ventura Community Memorial Hospital, 11/21/88. 16. Luttrull, J.K.: Update on Common Retinal Disorders. St. John’s Regional Medical Center, 1/17/89. 17. Luttrull, J.K.: Diabetic Retinopathy – Review. Tri County Optometric Association, 3/11/89. 18. Luttrull, J.K.: Differential Diagnosis of Retinal Disease, Tri County Optometric Association, 10/90. 19. Luttrull, J.K., Chittum, M.E. : Acute-Acute Retinal Pigment Epitheliitis. Western Retina Study Club, San Francisco, California, 03/17/93. 20. Luttrull, J.K., Wan, W.L., Oster, H.A. : Treatment of Intraocular Fungal Infections with Diflucan. Western Retina Study Club, San Francisco, California, 03-17-93. 21. Luttrull, J.K., Dreyer, R.F. : Angiographic Hot Spots: Markers of Occult Choroidal Neovascularization. Western Retina Study Club, San Francisco, California, 03/18/93. 22. Luttrull, J.K.: Macular Hole Surgery – Prognostic Indicators. Western Retina Study Club, San Francisco, California, 03/18/93. 23. Luttrull, J.K.: Inadvertent Ocular Perforations and Intraocular Injections – Invited Speaker, “Cataract Surgery and Its Complications”, California Association of Ophthalmology 12th Annual Educational Conference, 9/10 – 12/93, San Francisco, California. 24. Luttrull, J.K.: Pseudophakic Cystoid Macular Edema Complicating Macular Hole Surgery. Western Retina Study Club, Phoenix, Arizona, 1/28/94. 26. Avery, R.L., Luttrull, J.K.: Pars Plana Seton Implants for treatment of Complicated Glaucomas. John Hopkins Hospital, Wilmer Eye Institute, Baltimore, Maryland, Annual Alumni Meeting, March 1994. 27. Luttrull, J. K., Avery, R.L. : Pars Plana Seton Implants and Vitrectomy for Neovascular Glaucoma. Invited Speaker, Retina Free Paper Section, Annual Meeting, American Academy of Ophthalmology, San Francisco California, November 3, 1994. 28. Kim, J., MacDonald, H.R., Luttrull, J.K.: Surfing-related ocular injuries. Paper, Western Retina Study Club, Napa Valley, April 1997. 29. Luttrull, J.K.: Specialty IPA Formation and Physician Reimbursement – A History of Coastal Counties Eye Care Medical Group. Invited lecturer, National Coalition of IPA Administrators, Annual Meeting, Santa Barbara, California, March 26, 1997. 30. Baerveldt, G., Luttrull J.K.: Baerveldt Glaucoma Implant with Hofmann pars plana elbow. American Glaucoma Society 1997. Chicago, Ill., December 6, 1997. 31. Luttrull, J.K.: Pars Plana Modified Baerveldt Implant with Pneumatic Stent. Instructional video tape presentation for Pharmacia-Upjohn. 32. Luttrull JK: Progressive Circumpapillary MEWDS. Western Retina Study Club March 19, 1998, Monterey, Calif.
33. Luttrull JK, Avery RL, Baerveldt G: Initial Experience with Pneumatically Stented Baerveldt Implant Modified for Pars Plana Insertion. Western Retina Study Club March 20, 1998, Monterey, Calif.
34. Luttrull, JK: Laser pointer induced macular injury. Western Retina Study Club March 20, 1998, Monterey, Calif.
35. Avery RL, Luttrull JK: Initial experience with pneumatically stented pars plana modified Baerveldt implant for treatment of complicated glaucoma. ARVO, May, 1998. 36. Avery RL, Luttrull JK: Initial experience with pneumatically stented pars plana modified Baerveldt implant for treatment of complicated glaucoma. Vitreous Society, May 1998. 37. Luttrull JK, Avery RL, Baerveldt G.S. : Initial experience with pneumatically stented pars plana modified Baerveldt implant for treatment of complicated glaucoma. Free paper presentation, Glaucoma Section, American Academy of Ophthalmology Annual Meeting, New Orleans, La., November 11, 1998. 38. Luttrull JK: Pneumatically stented implant procedure for complicated glaucoma. Video presentation in “Surgical Innovations in Vitreoretinal Surgery, 1998”, Harry Flynn, M.D., “Frontiers of Vitreoretinal Surgery”, New Orleans, La., November 7, 1998. 39. Luttrull JK: A perspective on the role of research and publication in the career of a solo private practice physician. Invitational alumnus lecture, Point Loma Nazarene University Departments of Biology and Chemistry. June 25, 1999. San Diego, CA. 40. Luttrull JK: Diode Micropulse Laser in Treatment of Retinal Vascular disease. Invited speaker, “Speaker’s Forum”, Iridex Corporation, American Academy of Ophthalmology, Orlando Florida, October 21, 2002. 41. Luttrull JK: Subthreshold Diode Micropulse Photocoagulation for the treatment of Clinically Significant Diabetic Macular Edema. Invited speaker, “Speaker’s Forum”, Iridex Corporation, American Academy of Ophthalmology, New Orleans LA, October 26, 2004. 42. Luttrull JK, Spink CA: Serial Optical Coherence Tomography of Atraumatic Subthreshold Diode Micropulse Photocoagulation for Diabetic Macular Edema. American Society of Retina Specialists, Annual Meeting, July 17 2005, Montreal Canada. 43. Luttrull JK: Update on subthreshold diode micropulse photocoagulation for diabetic macular edema. Invited speaker, Speaker’s Forum, Iris Medical / Iridex Laser Corp. Annual meeting of American Academy of Ophthalmology, Chicago, Ill, October 16, 2005. 44. Luttrull JK, Musch DA, Spink CJ: Subthreshold diode micropulse panretinal photocoagulation for proliferative diabetic retinopathy. Joint meeting of American Society of Retinal Specialists and European Vitreoretinal Society. Cannes, France, September 11, 2006 (poster). 45. Luttrull JK, Spink CJ: Prolonged choroidal hypofluorescence following verteporfin photodynamic therapy combined with intravitreal triamcinolone acetonide injection. Joint meeting of American Society of Retinal Specialists and European Vitreoretinal Society. Cannes, France, September 9, 2006. 46. Luttrull JK: Subthreshold diode micropulse photocoagulation for retinal vascular disease. Seven year experience. Invited speaker, Speaker’s Forum, Iris Medical / Iridex Laser Corporation, American Academy of Ophthalmology annual meeting, New Orleans, LA, November 11, 2007. 47. Luttrull JK. Vitrectomy following anti-VEGF therapy for piretinal membrane coincident with age-related subfoveal neovascularization. Poster presentation to the annual meeting of American Society of Retinal Specialists, Palm Springs, CA, December 1, 2007. 48. Luttrull JK. Subthreshold diode micropulse photocoagulation for retinal vascular disease. Why isn’t everybody doing it? By invitation: Stanford University School of Medicine, Department of Ophthalmology Grand Rounds. Palo Alto, CA, January 15, 2008. 49. Luttrull JK. Subthreshold diode micropulse photocoagulation for retinal vascular disease: 8 years experience. “Doheny Days”; Annual meeting of the Doheny Eye Institute, USC Dept of Ophthalmology, Los Angeles, CA, June 13, 2008. 50. Luttrull JK. Subthreshold diode micropulse photocoagulation for retinal vascular disease. By invitation: University of London, King’s College Hospital, Dept of Ophthalmology, Grand Rounds. London, England, May 15, 2009. Concentric ring dysphotopsias in diffractive multifocal pseudophakia. European Society of Cataract and Refractive Surgery Annual Meeting, Barcelona, Spain, Sept. 14, 2009 free paper. Concentric ring dysphotopsias in diffractive multifocal pseudophakia. Combined meeting of the American Society of Retinal Specialists, Macula Society, and Retina Society, New York, New York, Sept 30, 2009 poster. 53. Luttrull JK. Subthreshold diode micropulse photocoagulation for retinal vascular disease. By invitation, Iridex Corp. Speakers Forum, San Francisco, California, Oct. 25, 2009. 54. Invited faculty, “Innovations of Laser for Vitreoretinal Disease Management”. Hospital de olhos, Sao Paolo, Brasil March 2 – 8, 2010. 55. Luttrull JK: Subthreshold diode micropulse photocoagulation for retinal vascular disease. 10 year experience. Innovations of Laser for Vitreoretinal Disease Management, Hospital de olhos, Sao Paulo, Brasil. March 5, 2010. 56. Luttrull JK: Laser treatment for retinal vascular disease in the pharmacologic era. 10 year experience. Innovations of Laser for Vitreoretinal Disease Management, Hospital de olhos, Sao Paulo, Brasil. March 5, 2010. 57. Luttrull JK: Clinical characteristics of subthreshold diode micropulse photocoagulation for retinal vascular disease. Innovations of Laser for Vitreoretinal Disease Management, Hospital de olhos, Sao Paulo, Brasil. March 5, 2010. 58. Luttrull JK: Pars plana vitrectomy with multiple transvenous chorioretinotomies for central retinal vein occlusion. Western Retina Study Club, LAICRS, UCLA Jules Stein Eye Institute, March 18, 2011. 59. Luttrull JK: Pars plana vitrectomy with multiple transvenous chorioretinotomies for central retinal vein occlusion. Retina “Masters” course, annual meeting of the American Society of Retina Specialists, Boston, MA, August 23 2011. 60. Luttrull JK, Spink CJ: Pars plana vitrectomy with multiple transvenous chorioretinotomies for macular edema complicating retinal vein occlusion. Poster. Annual meeting of the American Society of Retina Specialists, Boston, MA, August 22 2011. 61. Sinclair S, Cardillo J, Luttrull JK: Subthreshold micropulse photocoagulation for diabetic macular edema. Instructor, clinical course. Annual meeting of the American Society of Retina Specialists, Boston, MA, August 23 2011. 62. Luttrull JK. Subvisible diode micropulse photocoagulation for retinal vascular disease. Clinical use. 11 year experience. For Iridex Corporation at annual meeting of the American Academy of Ophthalmology, Orlando, Florida, Oct 23 2011. 63. Luttrull JK. Subvisible diode micropulse photocoagulation for retinal vascular macular edema. Long-term safety, high resolution imaging, tissue temperature modeling and dosimetry. For Iridex Corporation at annual meeting of the American Academy of Ophthalmology, Orlando, Florida, Oct 24 2011. 64. Luttrull, JK. Vitrectomy with transvenous chorioretinotomy for retinal vein occlusion. 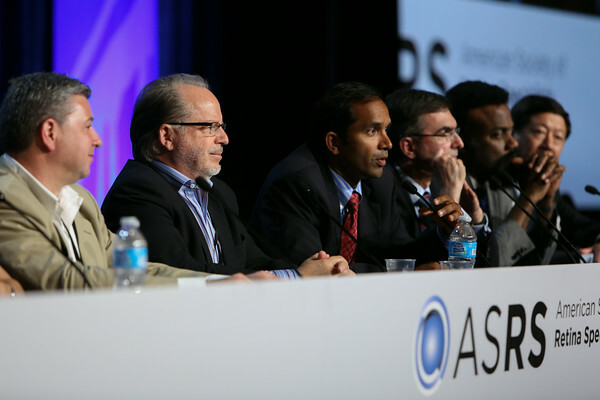 Paper presentation, Annual meeting of the American Society of Retina Specialists, Las Vegas, Nevada, August 26, 2012. 65. Luttrull, JK. Vitrectomy with transvenous chorioretinotomy for retinal vein occlusion. Paper presentation, European Society of Retina Specialists, Euretina annual meeting, Sept 9, 2012, Milan, Italy. 66. Luttrull JK, Sinclair SD, Midena E. Instructors in clinical course, American Society of Retina Specialists annual meeting, Toronto, Canada, August 27, 2013. 67. Luttrull JK, Sinclair SD. Safety of transfoveal subthreshold diode micropulse laser for intra-foveal diabetic macular edema in eyes with good visual acuity. Free paper presentation, American Society of Retina Specialists, Toronto, Canada, August 28, 2013. 68. Keunen J, Luttrull JK, Chong V, Midena E, Boon C. Clinical instructors for course in Subthreshold diode micropulse laser for diabetic macular edema. European Society of Retina Specialist annual meeting, Hamburg, Germany, Sept 27, 2013. 69. Luttrull JK. Laser re-sensitization of medically unresponsive neovascular age-related macular degeneration. Efficacy and Implications. Extended Free Paper, Annual meeting of the American Society of Retinal Specialists, San Diego, CA, Aug 12, 2014. 70. Keunen J, Luttrull JK, Chong V, Midena E. Clinical instructors for course in Subthreshold diode micropulse laser for diabetic macular edema. European Society of Retina Specialist annual meeting, Euretina, London, UK, September 2014. 71. Keunen J, Luttrull JK, Chong V, Midena E, Boon C. Clinical instructors for course in Subthreshold diode micropulse laser for diabetic macular edema. European Society of Retina Specialist annual meeting, Euretina, Nice, France, September 14, 2015. 72. Luttrull JK, Margolis BWL. Prompt improvement in macular function following panmacular subthreshold diode micropulse laser (SDM) retinal protection as prophylaxis for age-related and inherited retinal degenerations. A model for functionally guided disease management. Free paper, Annual Meeting of the European Retina Society, Nice, France, Sept 17, 2015. 73. Luttrull JK, Margolis BWL. Prompt improvement in macular function following panmacular subthreshold diode micropulse laser (SDM) retinal protection as prophylaxis for age-related and inherited retinal degenerations. A model for functionally guided disease management. Free paper, American Society of Retina Specialists, Annual Meeting, Vienna, Austria, July 11, 2015. 74. Luttrull JK, Margolis BWL. Functionally guided retinal protective therapy as prophylaxis for high-risk age-related and inherited retina degenerations. Free paper, Annual Meeting of LIGHT: The International Retinal Laser Society, Las Vegas, NV, November 12, 2015. 75. Luttrull, JK. Subthreshold diode micropulse laser (SDM) for central serous chorioretinopathy. Free paper, Annual Meeting of LIGHT: The International Retinal Laser Society, Las Vegas, NV, November 12, 2015. 76. Luttrull JK. Retinal protective therapy for chronic progressive retinopathies. Association for Research in Vision and Ophthalmology Annual Meeting, Retinal restorative treatment Special Interest Group. Presenter and panelist, Seattle, May 4, 2016. 77. Luttrull JK. Subthreshold diode micropulse laser treatment. Instructor, European School for Advanced Studies in Ophthalmology, Rome, Italy, February 15, 2016. 78. Luttrull JK. Subthreshold diode micropulse laser (SDM) as retinal protective therapy for non age-related retinal degenerations. Free paper; Annual Meeting of the American Society of Retina Specialists, San Francisco, August 14, 2016. 79. Luttrull JK, Keunen J, Midena E. Instructors in course on: Subthreshold retinal laser treatment. European Retina Society annual meeting Euretina, September 2016. 80. Luttrull JK. SDM retinal protective therapy reduces the risk of CNV in AMD. Annual meeting of the International Retinal Laser Society, Chicago, October 13, 2016. 81. Sinclair SH, Luttrull JK. SDM retinal protective therapy in dry AMD improves visual function by OmnifieldTM mesoptc resolution automated perimetry. Annual meeting of the International Retinal Laser Society, Chicago, October 13, 2016. 82. Moderator, AMD session 2, Euretina, European Retinal Society Annual Meeting, Sept 9, 2016, Copenhagen. 83. Luttrull JK. Hunter’s Syndrome: How the experience of transfoveal laser in a surgeon’s 20/15 eye informs laser dosimetry. The Int. Retinal Laser Soc. Annual Meeting, Oct. 13, 2016. 85.Luttrull, JK Panmacular SDM as neuroprotective therapy for POAG. Poster and abstract, ARVO annual meeting, 2017, Baltimore, MD, May 11, 2017. 86. Luttrull JK, Elmann S, Glaser B. Reduced incidence of choroidal neovascularization following subthreshold diode micropulse laser in dry AMD. Annual meeting of the American Society of Retina Specialists August 2017, Boston Mass. 87. Luttrull JK, Elmann S, Glaser B. Reduced incidence of choroidal neovascularization following subthreshold diode micropulse laser in dry AMD. Annual meeting of the International Retinal Laser Society, Sept 6, 2017, Barcelona, Spain. 88. Sinclair SH, Luttrull JK. Mesoptic visual function following subthreshold diode micropulse laser for dry AMD. Annual meeting of the International Retinal Laser Society, Sept 6, 2017, Barcelona, Spain. 89. Luttrull JK, Blachley T. Real World Evidence of reduced anti-VEGF medication dependence following subthreshold diode micropulse laser in wet AMD. Annual meeting of the International Retinal Laser Society, Sept 6, 2017, Barcelona, Spain. 90. Keunen J, Pilotto E, Chong V, Luttrull JK. Subthreshold laser for retinal diseases: concepts and future directions. Annual meeting of the European Society of Retina Specialists (Euretina) 2017; Instructional course Sept 10, Barcelona, Spain. 91. Luttrull JK. Invited plenary / keynote speaker, “Amsterdam Retina Debate”. Annual meeting of the European Society of Retina Specialists (Euretina) 2017; Sept 8, Barcelona, Spain. 92. Luttrull JK, Boon C. Moderators Vitreoretinal Surgery session IV. Annual meeting of the European Society of Retina Specialists (Euretina) 2017; Sept 8, Barcelona, Spain. 93. Luttrull JK, Keunen J. Moderators, Retinal vascular disease paper session 3, Annual meeting of the European Society of Retina Specialists (Euretina) 2017; Sept 22, Vienna, Austria. 94. Keunen J, Chong V, Midena E, Luttrull JK. Course, subthreshold laser surgery. Annual meeting of the European Society of Retina Specialists (Euretina) 2017; Sept 22, Vienna, Austria. 95. Luttrull, JK. Management of diabetic macular edema. Annual meeting, International Retinal Laser Society, Chicago, October 25, 2018. 96. Luttrull, JK. Total Retinal laser Therapy (TRT) for diabetic retinopathy: A treatment strategy fitting a retinopathy. Annual meeting, International Retinal Laser Society, Chicago, October 25, 2018. 97. Luttrull, JK. Unusual applications of sublethal retinal laser treatment. Annual meeting, International Retinal Laser Society, Chicago, October 25, 2018. 98. Luttrull, JK. Long term results of SDM Retinal Protective Therapy for chronic progressive retinopathies. Annual meeting, International Retinal Laser Society, Chicago, October 25, 2018. 102. Luttrull JK. Modern Retinal Laser. Moorfields Eye Hospital, Dubai, UAE, May 28, 2019. WHAT is laser vision protection? Laser vision protection is a new approach to preventing visual loss. It employs a revolutionary new treatment, called “Retinal Protective TherapyTM” (RPT) to improve the health and function of your eye. © 2019 Jeffrey K. Luttrull, M.D. | A professional corporation. All Rights Reserved.